For awhile I thought J Crew must be out of my budget range being a 20 something young professional working in higher ed. But low and behold, J Crew Factory exists and is really meant for people like me (and likely you.) Factory is ALWAYS having sales. And by always, I really mean always. Don't you ever pay full price for anything. I think it is important to have a closet where everything matches and are interchangeable This means a lot of staples and classic pieces to mix and match with. Most of my work staples are from Factory and the bright bold colors make it super easy to mix and match. And in the spring and summer, bright and bold colors are the best! Not yet shopping at Factory? Get to it! I've got three tips for ya..
1. Sign up for their mailing list! You'll get email discount codes and invited to their flash sales. Their flash sales are discounts on certain items like sale items or 40% off everything! Make sure to stock up then! 2. Things fit true to size! I was scared of shopping online at a store I had never been to but was pleasantly surprised things fit true to size. Theres a little bit of glamor sizing (doesn't everywhere though?) but not enough to size up or down. Size down on dresses though. Those do run a bit big. 3. If you go to the store in person, don't forget your student ID or in my case, my staff ID! Students, teachers, and employees of educational institutions receive an additional 15% on their purchase. Even on top of other discount codes. All you need is a school/work ID or to pull up an edu email address on your smart phone The last time I went in store to shop, I saved 55% on my entire purchase between the overall store discount and my school employee discount. What the what? 55% discount is unheard of! Leave your go-to stores in the comments! I'd love more suggestions! Ps- Factory has no idea who I am. I'm just a fan and avid shopper! 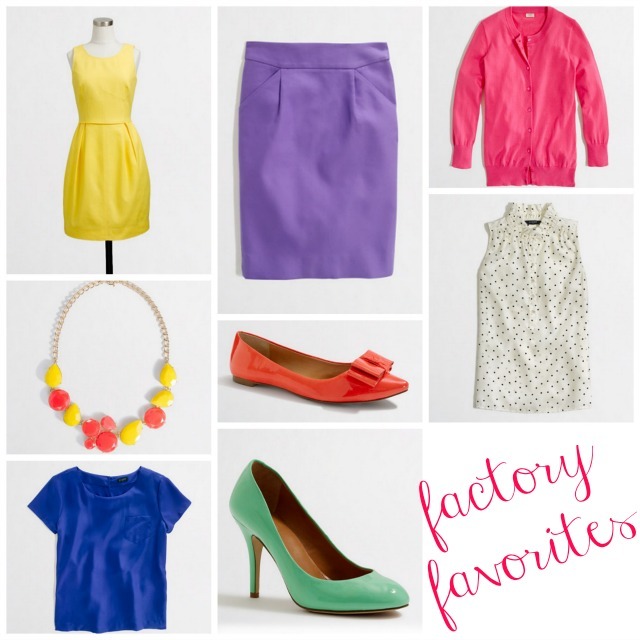 J.crew factory is the best for sales! It seems like this summer they have been having huge sales almost bi-weekly! I agree to never buy anything there unless its on sale!